Who doesn’t love beautiful outdoor scenes that feature the calm yet fascinating art of fishing? 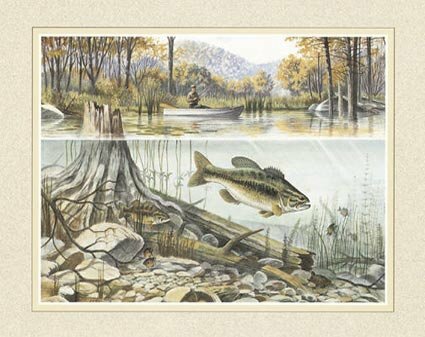 These posters feature fishing reels, bass, trout, and fishermen. The subtle brown tones throughout the pieces, adds a feeling of peace and tranquility to the poster. At WallsThatSpeak, we provide high-quality paper and canvas prints that are printed using a lithographic or digital process. Our 8″ x 10″ posters come unframed and ready to mat in standard sizes to fit most frames so that you can add your own personal touch as soon as the poster arrives. Rest assured that they have been precision-cut, so they will hang straight and fit well in any frame. You’ll love the simplicity of these high-quality prints that complement a wide array of different design schemes and allow you to mix and match with other pieces of art. These posters make a great gift for the nature lover or hunter in your life. They also allow you to bring a little extra life into your home if you happen to live somewhere without these beautiful, outdoor scenes. When you look at our stylish prints, you’ll be able to appreciate the beauty of nature from within your home. These versatile and classy prints work in any room of the home or office, making them work for any recipient. Our images are proudly made and printed here in the United States, so you can be sure that you’re getting the quality you expect for your home. WallsThatSpeak is based in the USA, and we do our part to care for Mother Earth. We make sure to only print our artwork once an order is placed. This helps to save paper and ink so that no materials are wasted through pre-printing. 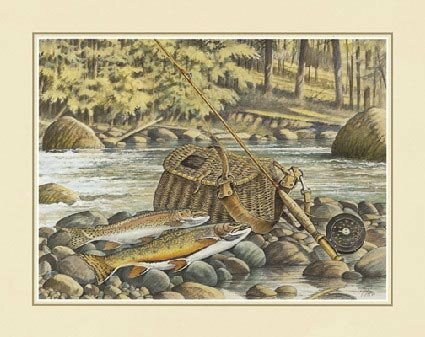 Make your walls speak with these beautiful fishing prints!GREAT FOR ANY SPACE: WallsThatSpeak outdoor-themed fishing prints are the perfect wall decorations for your home, dorm room, or office. Hang these rustic posters from any wall in your dining room, living room, bathroom, nursery, kitchen, or other space. They also make great gifts. Whether your wall is large or small, you’ll love the tranquil ambiance that nature art can bring! 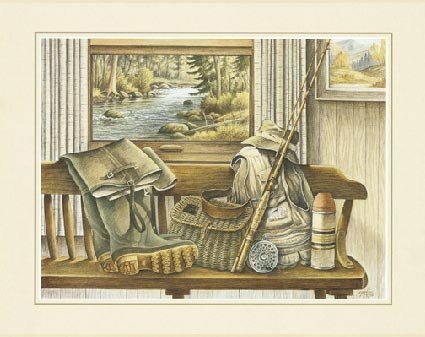 CABIN & LODGE DECOR: When you put these inspirational nature scene in your log cabin, fishing shack, or hunting lodge, they can give your space a western or outdoorsy feel. 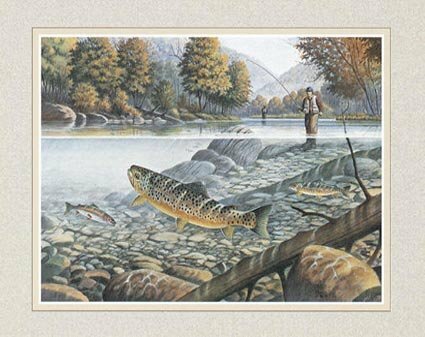 Even if you don’t have a mountain cabin or ski lodge, men, women, and kids will appreciate these pieces of artwork featuring colorful trout and bass in tranquil fly fishing scenes. Any wildlife and fish lover will be impressed. HIGH-QUALITY PAPER & PRINTING: We print our posters on sturdy, quality paper to display a vibrant visual. Our posters will look great on any wall as our precision printing keeps the alignment straight. This allows you to place the poster without any cutting or measuring. These beautiful images of fishing, make a fantastic addition to the natural design scheme of your house. FITS STANDARD POSTER FRAME SIZES: Each poster in the set measures 8″ x 10″ and fits a standard poster frame but does not come framed. Choose the mat and style that best matches your decor as these unframed posters come ready for your personal touch. Instead of hanging a tiny image on your wall in a standard picture frame, get our large posters and impress your guests! MADE & PRINTED IN USA: WallsThatSpeak is proudly based right here in the USA. We print each of our decorative photos upon receiving your order which saves paper and lithographic ink and eliminates the chance of typos or design flaws. Each order ships from the United States. We know you’ll love have walls that speak in your home!